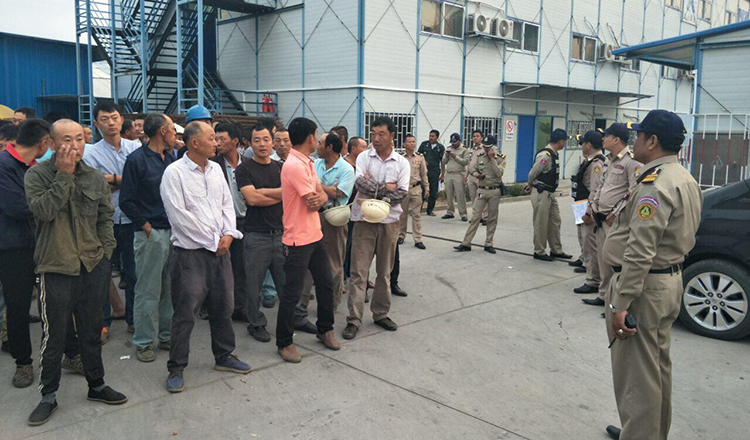 Immigration police yesterday extended their visa raids to a construction site in Phnom Penh’s Tuol Kork district where they detained 74 Chinese construction workers. 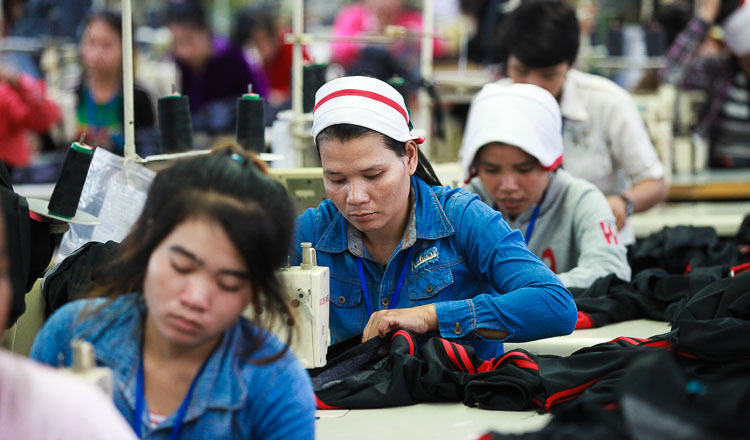 In April 2014, the Interior Ministry and Labour Ministry formed a joint inspection committee to keep an eye on companies employing foreigners and to take a more active role in enforcing the 1997 Labour Law as well as immigration laws. 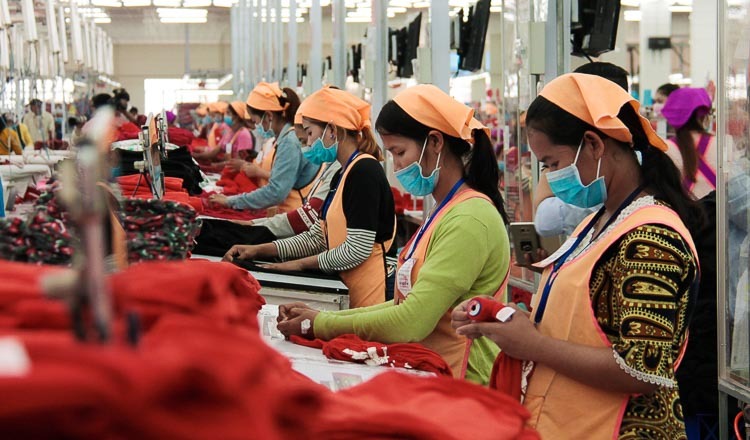 The laws require all migrant workers in the kingdom to hold a work permit along with the appropriate business visa. If found to be employed without a permit, they must pay $100 to apply for one and be fined $125. 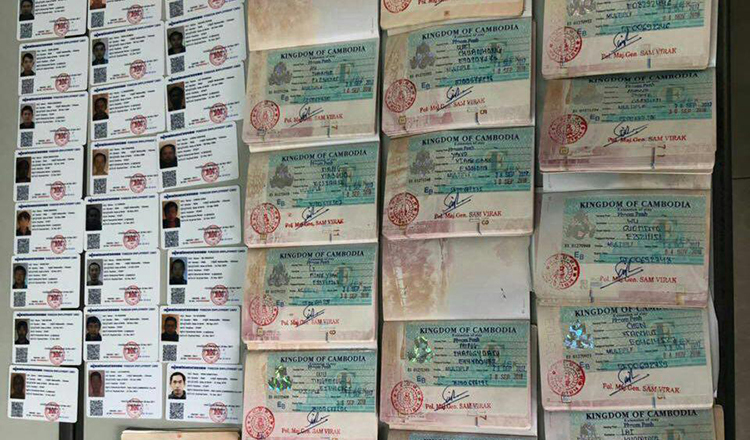 “Our police forces inspected and checked the documents of the Chinese nationals at their construction site, and they found that 62 of the 74 had a business visa within their passports,” Interior Ministry chief inspector Lieutenant General Uk Heisela said. 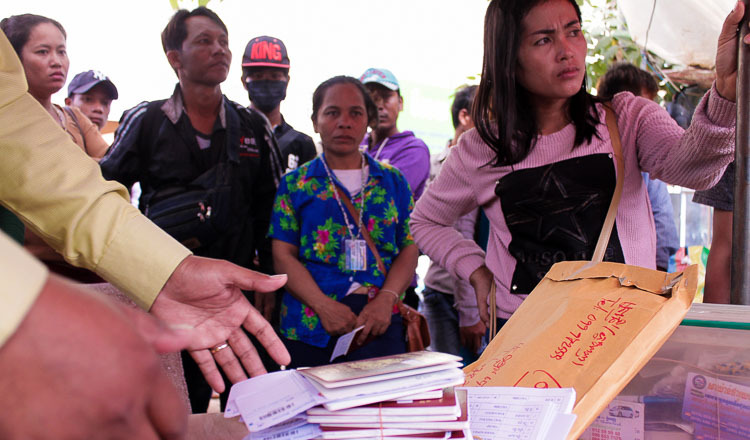 He added that immigration police impounded the passports of Chinese workers to ensure that they apply for work permits at the Labour Ministry. Immigration police will fine each worker $125. 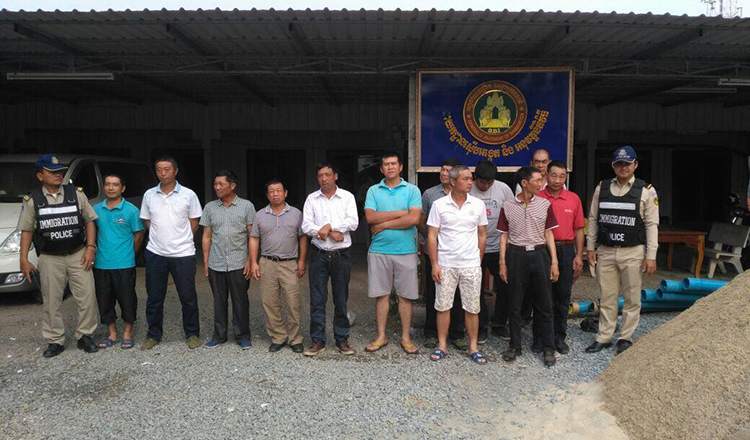 “The 14 people lacking work permits will be fined and the 12 who don’t have passports will be deported and permanently barred from returning to Cambodia,” Lt Gen Heisela said, adding that the arrests were at a site operated by a Chinese construction firm, Nantong City Daxing Engineering Company. 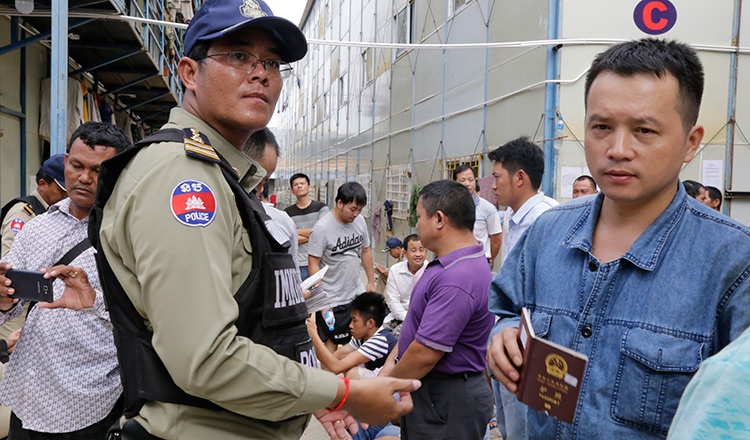 Last year, the government’s crackdown against offending foreigners resulted in 2,357 immigrants being deported and barred permanently from the kingdom. They were comprised of 51 nationalities but the vast majority – 1,220 – were Vietnamese.